Mom and Dad hustled us outside, handing us our down jackets and fleece gloves as we slipped through the front door. According to NASA, there was going to be a spectacular meter shower in half an hour, and we didn’t want to miss it. “Hurry up!” I called over my shoulder as I sprinted down the gravel driveway. My younger sisters, Sienna and Noelle, who where twins, weren’t nearly as eager as I was to see the meteors. They were standing in one place as they helped each other into their coats. “Dad,” I whined, “can’t you carry them? We were supposed to be at the field three minutes ago.” I was meeting several of my friends on the high school’s soccer field to watch the autumn sky, and, as I’d helpfully informed Dad, we were late. “Emerson,” he scolded, handing Noelle her teal mittens. “We’ll get there soon. Even if the meteor shower starts right now, we’ll still be able to see it.” He waved around us, showing me that there were no mountains to block our view. We could see the entire sky perfectly from the driveway of our old farm house. But it’s more fun to witness history book-worthy events with friends, am I right? Once I told my nine-year-old siblings that my friends were having a stargazing party — complete with soda — they wanted to get to the soccer field as badly as I did. I raced them to my mom’s immaculate black van and slid into the driver’s seat. At fifteen, I’d just gotten my learner’s permit, so my parents occasionally let me drive short distances. My sandy-haired dad called shotgun, and the second Mom climbed into the back with Noelle and Sienna, I peeled out of the driveway. The van barreled down the street at an impressive 20 mph; at the second intersection, I turned left into the high school’s parking lot. I parked carefully, making sure to stay between the white lines, then scrambled out of car. While the rest of my family was exiting the vehicle, I dashed around the side of the school and onto the soccer field, where five of my closest friends were gathered. They lay on blankets, chatting and drinking sodas. “Hey!” I exclaimed, slowing to a jog. My wavy, dark chocolate hair brushed against my elbows with every step. My friends Tessa, Lena, Kiana, Seth, and Miles glanced in my direction and waved. When I reached them, I plopped down on a wool blanket beside Kiana and Miles. Tessa offered me a can of Pepsi, and I took it, slurping noisily. Lena, the girl who had put together our meetup, checked the time on her scuffed blue iPhone. “10:27,” she announced. “It should start any time now.” We directed out attention to the star-packed sky. Suddenly, a huge asteroid streaked across the heavens. 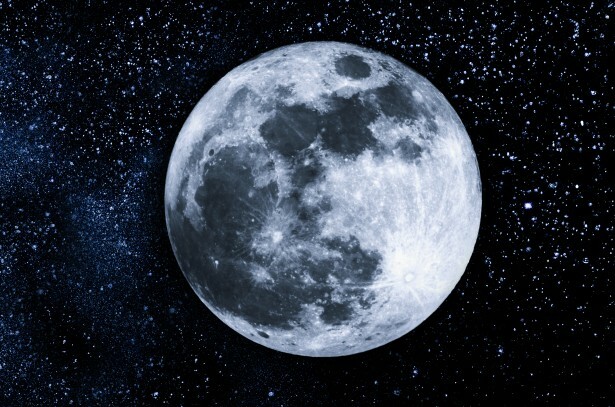 When I say huge, I mean colossal — it was at least as big as a quarter of the moon. I could compare the sizes accurately because that was the asteroid’s destination: the moon. We watched the astronomical display with awe . . . until the chunk of rock and metal slammed into the radiant moon. The asteroid hit the bottom of the moon with such force that it was catapulted out into space. Kiana actually screamed at the horrific sight. The rest of us were too shocked to make a sound. We waited for the moon to reappear in a tense silence, staring as the asteroid broke into tiny, harmless lumps. The area that the moon had previously occupied was still vacant. When we finally tore our eyes away from the moonless sky, we realized that it was at least ten times darker that it had been just moments before. Without the comforting presence of the moon, the night was a thicker, more foreboding shade of black. “Lena, aren’t you being a bit dramatic?” I asked. “Surely it can’t be that bad.” My friends nodded in agreement, and my family tilted their heads back, seeing for the first time a night sky without the moon. But even as I spoke, a voice in my head snapped, Who’s the straight A’s student here, huh? Not you, Emerson. In a daze, we got to our feet and picked up the blankets and drinks. We trudged up to the high school, each lost in our thoughts, constructing imaginary worlds that were plagued with tsunamis and rapid climate changes. What Earth would become unless we got the moon back. Once we reached the parking lot, my parents refused to drive home. They seemed to forget that headlights had been invented. My pals didn’t want to walk home in total darkness, either, so we decided to spend the night at the school. The side entrance was miraculously unlocked — the janitor must have been working late — and after herding Sienna and Noelle into the building, we made our way to the teachers’ lounge. After feasting on stale muffins that the janitor hadn’t thrown away, we switched on the flat screen TV. Urgent reports on the missing moon flooded the channels. Four depressing lunar stories later, we all agreed it was time to hit the sack. The twins called dibs on one cream couch; Kiana and Lena shared a second sofa; Seth, Miles, and Tessa flopped onto the carpeted floor; and I curled up on a cushioned chair. I was out the second my head touched the padded armrest. School was canceled for the rest of the week. I spent most of my time sitting in front of the TV, watching as all of Lena’s terrifying predictions came true: there was snow in Florida, people in Michigan were getting sun burns. Tidal waves were wiping out coastal cities. If we didn’t get our moon back in a week, the world would be destroyed. One day, a reporter excitedly announced that astronomers had located the moon. The asteroid had, apparently, knocked the moon out of orbit. It was currently caught in Mars’s gravitational pull. NASA was going to send a shuttle to the Red Planet to retrieve it. Using the standard rockets, it would take more than nine moths to fly to Mars and back, but scientists had developed incredibly powerful boosters that could shorten the journey to just over one week. The shuttled, named Luna’s Savior, would be launched the next day. The next afternoon, I, along with billions of people around the world, looked on as Luna’s Savior took off in a mushroom cloud of smoke. With the help of its super engines, the shuttled pierced the atmosphere in record shattering time. School was canceled again for a week so that students could watch the daily updates on Luna’s Savior. When the shuttle finally reached Mars, my whole family crowded into the den to see the moon being rescued. Sienna crawled into my lap and Noelle squeezed my hand so tightly that my fingers became numb. No way my name is Emerson!!!!!!!!!! That’s cool! I love the name Emerson. So creative! That is one cool idea.